Meet Swiss Paralympic Ski Team shredder Joachim Roethlisberger. Born March 17th, 1989 in Unterseen, Switzerland, he has been living with a physical disability ever since, called Athrogryposis. He has stiff joints with a musculature that&#8217;s severely underdeveloped from his fingers to his shoulders. But when you see him on the race hill, you wouldn&#8217;t know he&#8217;s got anything holding him back at all. 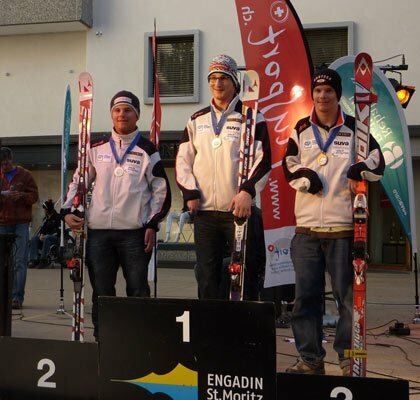 In the recent Swiss final championships in St. Moritz, he snagged a Bronze Medal in the &#8220;standing&#8221; devision (one of three divisions next to &#8220;bling&#8221; and &#8220;sitting&#8221;). In the last 2 seasons he&#8217;s reeled in 3 podium performances, including 2 1st place finishes. He&#8217;s not only a ripping for Paralympic Skier, but a rippin&#8217; skier period! Congratulations Joachim for going for it and just going for what your heart desires! We&#8217;re super stoked for you and wish you a great summer and of course next season.